The Doo Wop Project begins at the beginning, tracing the evolution of Doo Wop from the classic sound of five guys singing tight harmonies on a street corner to the biggest hits on the radio today. Throughout the show, DWP takes audiences on a journey from foundational tunes of groups like the Crests, Belmonts, and Flamingos through their influences on the sounds of Smokey Robinson, the Temptations, and the Four Seasons all the way to Michael Jackson, Jason Mraz and Amy Winehouse. 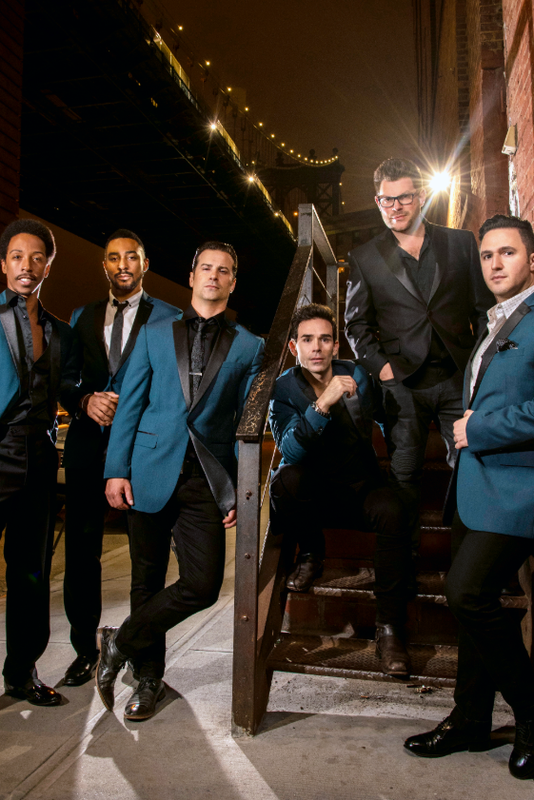 Featuring current and former stars of Broadway’s smash hits Jersey Boys and Motown: The Musical, the Doo Wop Project brings unparalleled authenticity of sound and vocal excellence to recreate—and in some cases entirely reimagine—some of the greatest music in American pop and rock history.